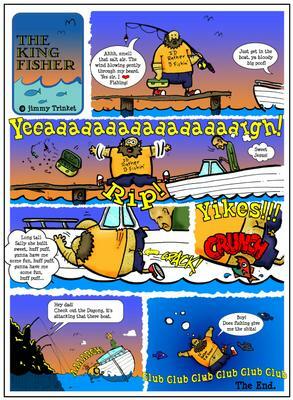 The adventures of Jimmy Trinket: Who said fishing was relaxing? Hi Jimmy Trinket! McHills said you get sad if noone comments on your blog, so I thought I'd drop in and say hello. 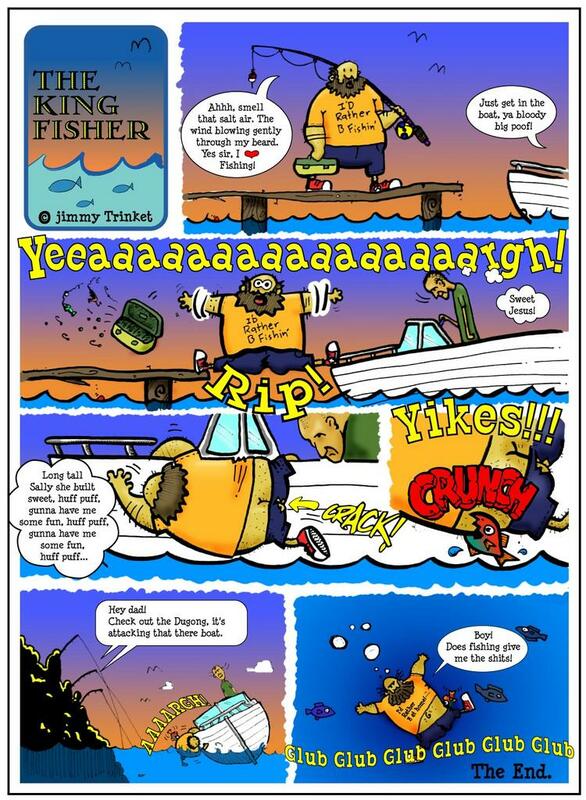 This fishing story is very funny. Who is it driving the boat? Hi Jimminey 'T' Just plugged in and am very excited to read of your adventures. Things have not changed since we last shared the netball and thats why me and the girls lurv you bra. PS1 still rocks!! Rusty looks great Jimmy, a little taller with maybe a little more muscle but then it has been a couple of years. Oh yes your bot bot looks great in them shorts, Princess Jules was very impressed. More people looking at my toons! Thanks Kelly, I can always count on you to leave a little comment or two! Hiya Anon, I know you, heh heh, hope all is well up in cow-land. I bet life is a blast now you have a little chip off the old block! Thanks for dropping in, glad to see you still get a chance to drag the PS1 out! All the best triple T's! Ahhh Jimmy - you have know idea how much fun it is to check out this little episodes of your life are... you're fast replacing Dilbert as my morning laugh. Hello Dave, glad you had a chuckle! I'm not sure if I could ever replace Dilbert though. Perhaps I could be your step-Gilbert instead! Yey, hee hee!